A new backer from the other side of the world is buying up most of Nelson Peltz's stake in Legg Mason [profile]. Today Legg chairman and CEO Joe Sullivan confirms that Singapore-based Shanda Group is acquiring the bulk of the Legg shares held by Peltz's Trian Fund Management. Per an SEC filing, Shanda is paying $32 per share, nearly $337 million in total, for what amounts to a 9.9-percent stake. MFWire could not immediately reach a spokesperson for Shanda for comment on the deal. Shanda started out in 1999 as an online game company and lays claim to inventing the "free-to-play" game model six years later. It spun off its game business and became an investing group instead in 2014. Shanda now invests more than $8 billion, and Legg's statement describes Shanda as a "global investing holding company with a long-term investment horizon across public market equity, fixed income and commodities, private equity and real estate ... [that is] focused on value investment opportunities in the financial services, technology, and healthcare services sectors." Sullivan praises Shanda as "a long-term strategic shareholder" in Legg. 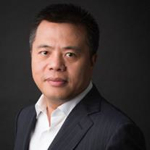 Tianqiao Chen, chairman and CEO of Shanda, calls Legg "a prestigious global investment manager with a long heritage, solid track record and strong management team." "The [Legg Mason] management team and Shanda Group share a similar vision in bringing pioneering approaches to the asset management industry, which we believe is entering a new phase of growth opportunities," Chen states. "We look forward to supporting Legg Mason in its continuing success." Peltz, a famous activist investor, bought into Legg Mason in 2009 and joined its board. He stepped down from the Legg board at the end of 2014. Yet he is not abandoning Legg completely. The filing reveals that Trian will hang on to 513,743 Legg shares, a little less than five percent of its stake. Trian today announced it has sold a 9.9% interest in Legg Mason, Inc., which is substantially all of its 10.3% stake in the company, to the Shanda Group, a global investment holding company, for $32 per share. Trian sold the shares for portfolio management purposes. Trian believes that Shanda Group will be a strong strategic partner for Legg Mason. Citigroup is the placement agent and advisor on the deal.